The turkey is cooked, the shopping is done and you are probably in limbo with putting your holiday decorations up or completely avoiding them. Las Vegas may not be the average winter wonderland but we do a pretty good job at making do with what we have. Anywhere from lighting up cacti to incorporating fake snow into our holiday parties; we let our creativity get the best of us. The holiday season has officially started, so let's get in the spirit with your one stop shop to Las Vegas holiday events! Wasting no time, the Springs Preserve and Community Lutheran Church have teamed up to kick off the Christmas seasons with a community wide sing-along. Grab your family, a blanket, and some non-perishable food items to donate to one of the seven charities! 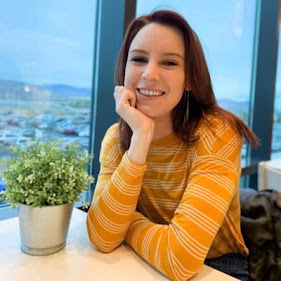 Head on down to the Springs Preserve amphitheater and enjoy singer and actress Susan Powell, an 80-voice choir, 20-piece orchestra, and various Las Vegas Strip entertainers. Check out more information here! Join the Zappos Team at their Holiday Tree Lighting! Their tree features more than 50,000 lights for the community to enjoy throughout the season! 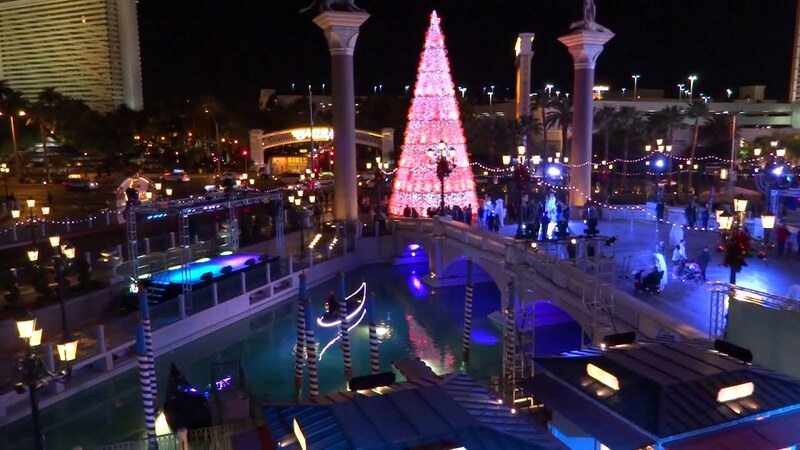 You wouldn’t want to miss the Tree Lighting with performances from The Nutcracker and artist Daniel Park. There will be photos with Santa available, hot chocolate and so many more holiday treats! Come and be among family and friends in your downtown community! 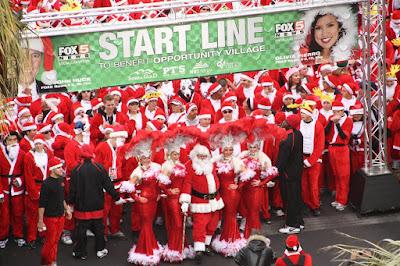 Join Opportunity Village for their annual Las Vegas Great Santa Run! 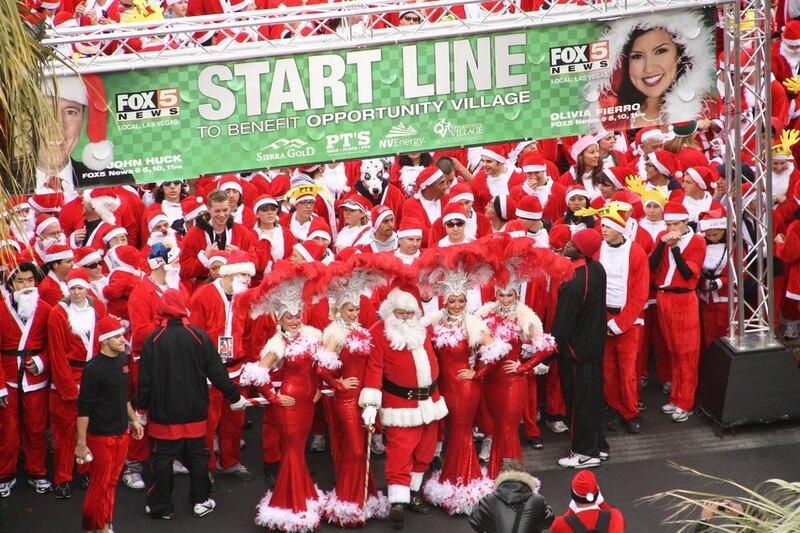 Nothing says Christmas like 10,000 Santas running a 5k in the downtown Las Vegas area. Registration includes your very own Santa suit and goes to support the programs and services of Opportunity Village. This organization provides a variety of different programs, which provide adults with intellectual disabilities the chance to lead a life that had previously been unattainable. This run is for all ages including a 5K run and a 1-mile fun run! Local celebrities and businesses take part in the festivities every year making it fun for the whole family. New this year, keep the fun going by enjoying Blitzen’s Bar Crawl and Las Vegas Pub Crawl’s Santa Crawl right after the race! Register and join in on the running holiday madness! Click here to register! 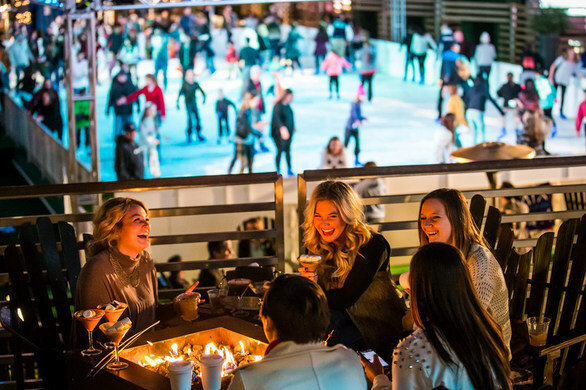 Check out this SNOW amazing event at the Henderson Events Plaza. 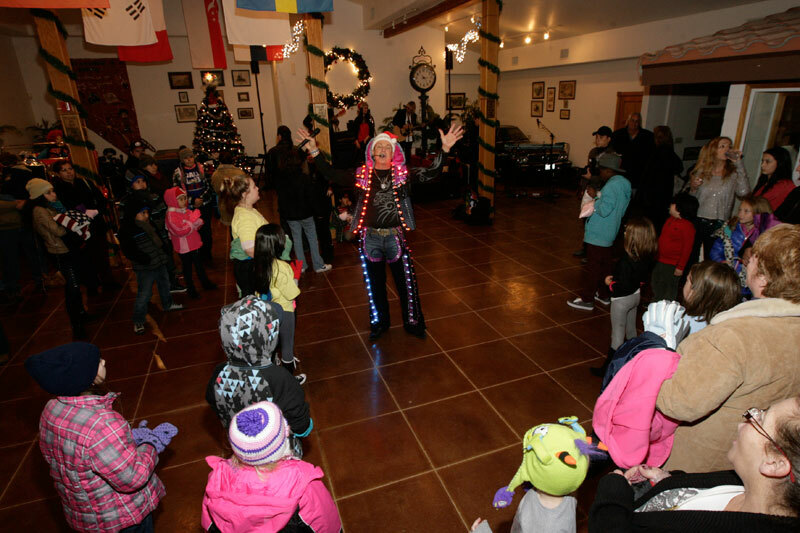 Hosted by The City of Henderson, Winterfest – Silver and Snowflakes will have ample amounts of holiday activities for all ages to enjoy. There will be a snow area to play in, gingerbread house masterpieces, light parades, and tree lightings. Along with the winter festivities there will be carnival rides and various food vendors! 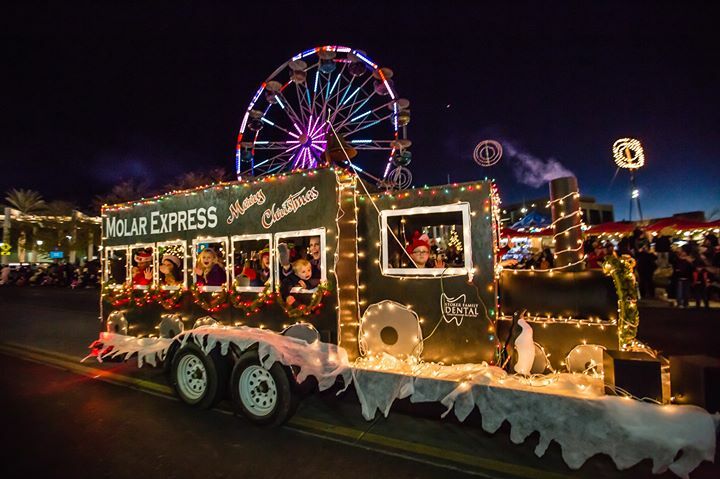 There will be nightly entertainment including orchestras and holiday parades you do not want to miss. Step outside of Vegas and into Boulder City's “Whoville” with St. Jude’s Christmas Tree lighting. Stroll through the ranch while enjoying holiday treats and drinks. There will be carolers throughout the open house and Santa will be available for photos as well! 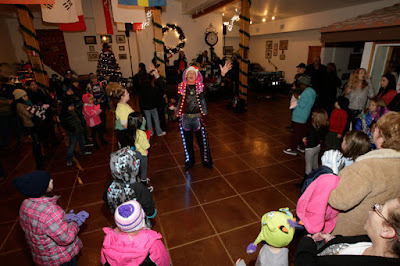 With live entertainment and lights strung around St. Jude's Ranch, your heart will be filled with warm Christmas spirit! Join downtown container park in their Ugly Sweater Wine Walk! 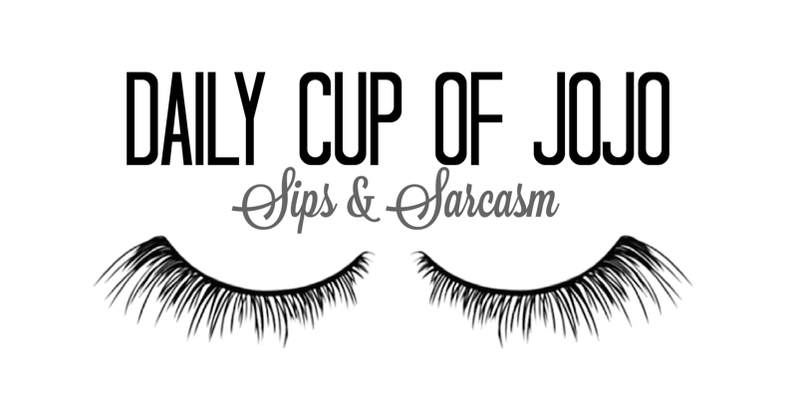 Don your tacky holiday sweaters (seriously, your tackiest, there is going to be a contest) and get your wine on. There will be various wine stations set up throughout the park for you to enjoy. 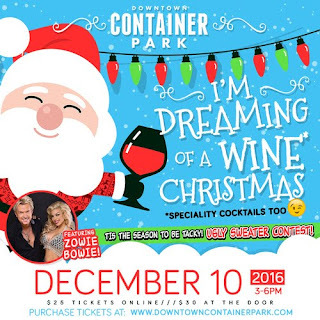 Zowie Bowie entertainment, shopping and specialty cocktails will be available as well, so treat yo’ self to a merry afternoon of indulgences. Grab your mistletoe match and head down to the Cosmopolitan Ice Rink for a Skate Date night. Equipped with skate rentals, fire pits, and various Christmas movies what more could anyone ask for in a winter wonderland? Skate Date is a weekly event which takes place every Monday but the 19th is essential because Cosmopolitan is playing Home Alone 1 and Home Alone 2… basically the greatest holiday movies out there. 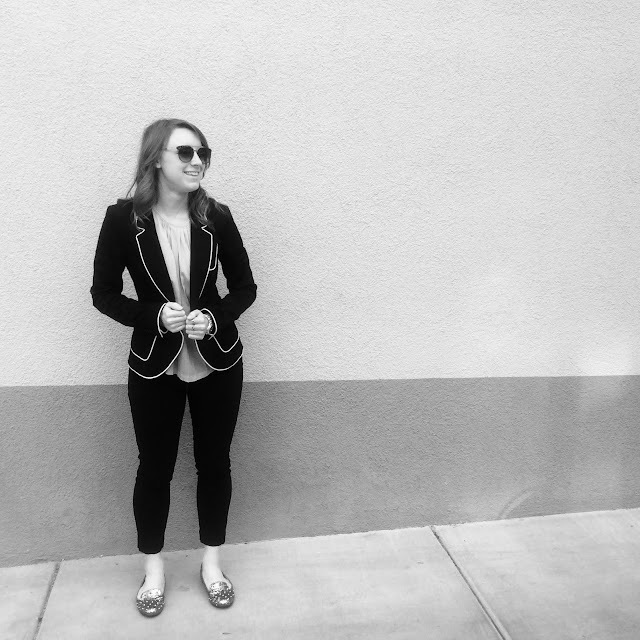 I hope you are able to check out some of these events and keep the holiday spirit strong inside of you!